151 x 136 cm; 59 2/5 x 53 1/2 in. 152 x 181 cm; 59 4/5 x 71 3/10 in. 162 x 201cm, 63 4/5 x 79 1/10 in. 152 x 183 cm; 59 4/5 x 72 in. 36 x 26.5 cm; 14 1/5 x 10 2/5 in. Chinese artists whose art education took place in the 80s were condemned to live through interesting times. Su Dong Ping is one such artist: born in 1958, he lived through the Cultural Revolution as a child and young man, and his art education, like that of so many of his generation, was delayed until the 80s. Yet while this period was in many ways a tragedy in twentieth century Chinese history, out of that convulsivetime came some of the most interesting artists that China has produced in the last 40 years. The emergence into the light of Su Dong Ping, whose exhibition history has been modest, is further testimony to my belief that we cannot yet weigh the quality and range of the art produced by artists who came to maturity in the 80s because so much is still to be excavated, not to mention understood. After the death of Mao Ze Dong in 1976, there was a gradual opening up of China to the rest of the world in the field of culture. Ten times more books were translated in the ten years after Mao’s death than in the previous thirty years; and images of Western art began to circulate even if often in black and white (the Shanghai artist Sun Liang once told me that it was not until he represented Venice at the Biennale in ’93 that he understood that Francis Bacon painted in colour; the images he had seen in books were black and white only). Yet the art institutions of China were not necessarily subject to an equivalent opening up. 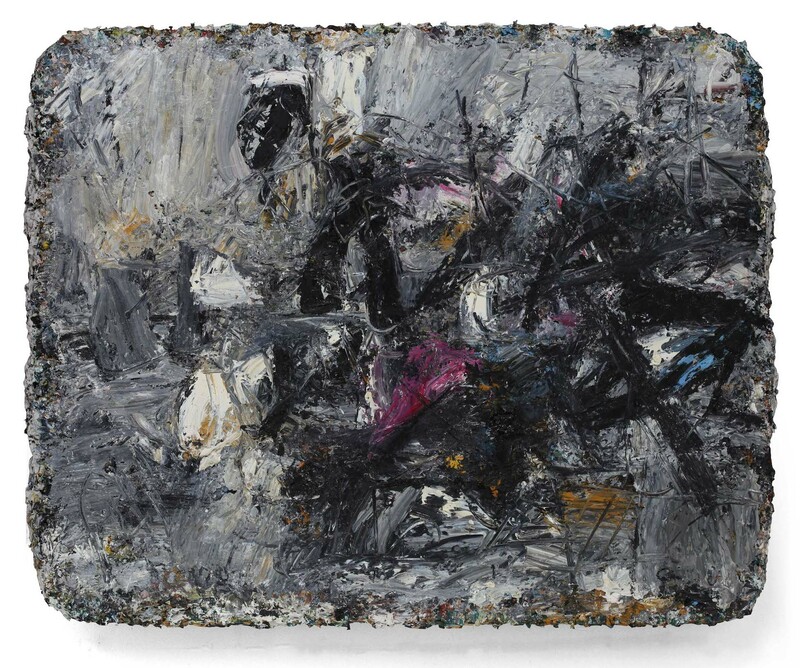 In the Su Dong Ping exhibition at Pearl Lam Galleries, attention is properly focused on his recent work—sophisticated abstract painting, full of rich contradictions and feelings; a form of Chinese ‘action painting’. But when I talk with the artist about the work he made in that most fluid of decades in China, the 80s, he describes an art in certain ways very different from what he makes now. Before he went to art school, the contemporary art he knew was the socialist realism that China had imported from the USSR and grafted on to its own twentieth century realist tradition, and the Western art to which he was exposed at the art school was largely French Impressionism. But beyond the classroom, he was living another life, making art that seemed to find some of its resources from the traditions of German Expressionism: thick impasto paint, raw images, dark muddied colours—an art that seems at once to be figurative and abstract. It might be said that at that time he was living a divided life. But this is the case in another sense too. While he and I talk about the expressionist tradition and his interest in it in the 80s, he is equally keen to tell me that his father was a calligrapher in the Chinese tradition. While at that time he had no interest himself in that tradition, even if that was his own first experience of making art, he now acknowledges its importance to his own present practice—again, a divided life, this time between Western and Chinese traditions. 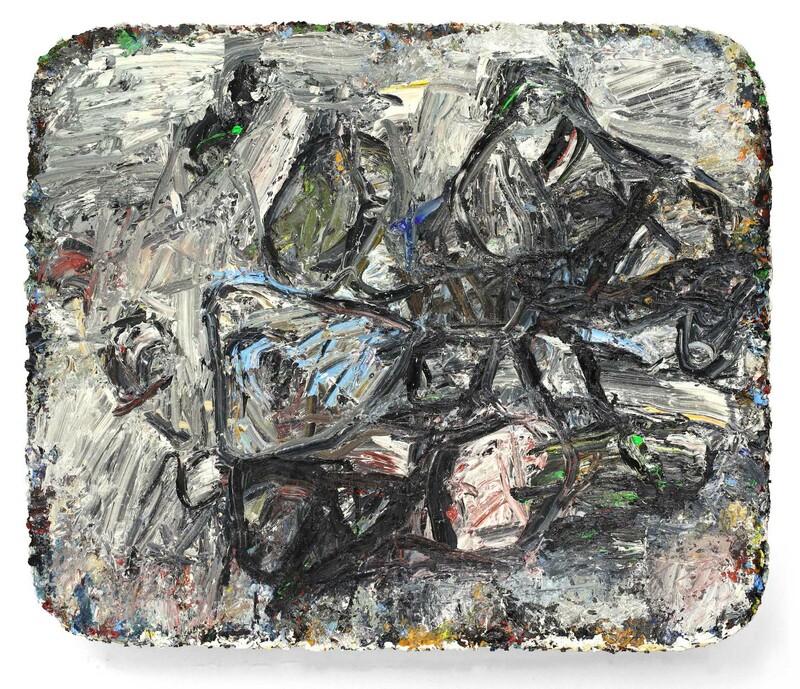 If I seem to labour the division that marks his time as a student—and one might add the division in his own biographical history—growing up in the Cultural Revolution and his life in post Mao China, it is because division and conflict seems to me the signature of his best paintings. This division is something that happens in the painting; it is not some reflection of biography. 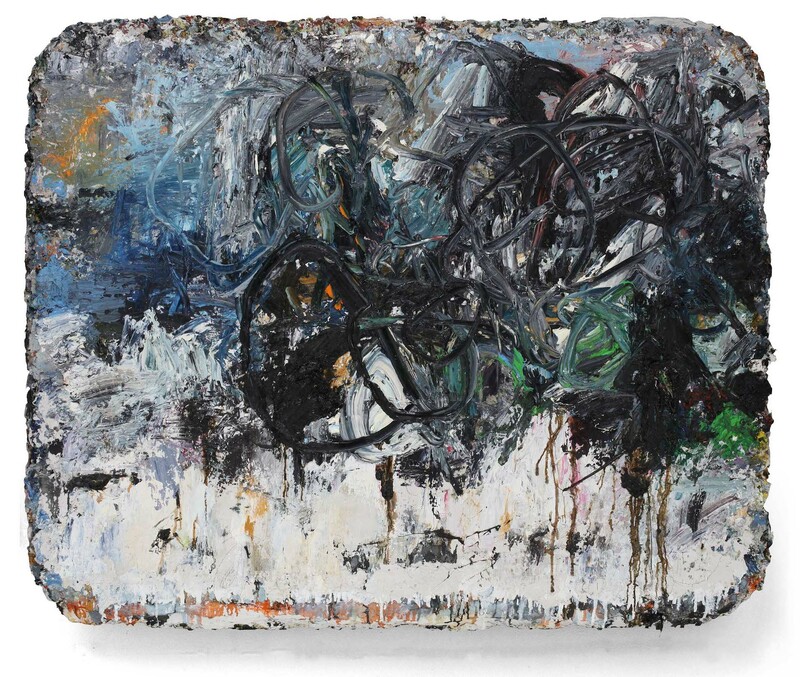 To look at the paintings of Su Dong Ping across the last thirty-five years is to be struck by one constant: the presence of black, not merely as a presence but often as the armature of a particular artwork. In the West, particularly in the painting of the late nineteenth century, black is a key presence. Auguste Renoir called it ‘the queen of colours’ and Matisse reported a conversation with the French impressionist painter Pissarro when he said that Manet ‘made light with black’. 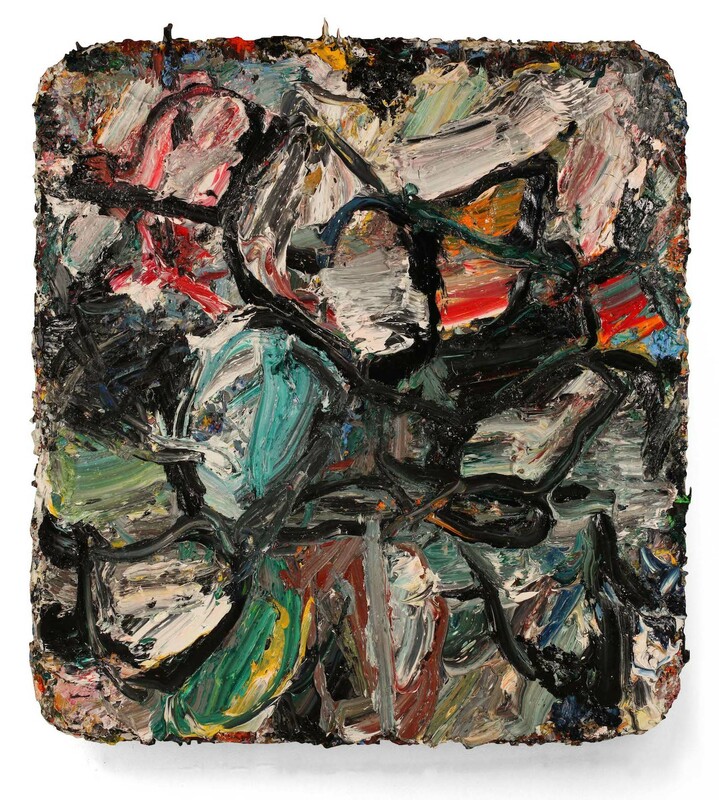 And to look at the ‘action’ or ‘drip’ paintings of Jackson Pollock is to see immediately how central to the paintings is black. In one sense, Su Dong Ping’s black has some of its roots in that Western modern tradition (think of the black lines in Van Gogh, or the black crows over the wheatfield in what would turn out to be his last painting), as it has other roots in the tradition of Chinese calligraphy, black ink on white paper. When I ask Su Dong Ping if he sees, as I do, that black is central to his work, he assents immediately, but he refers not to the Western tradition, nor even to the tradition of Chinese calligraphy, but to black as the colour of sorrow—something that incarnates parts of his own history (when he speaks to me he mentions the sorrow of the Cultural Revolution). He adds that black is less important now in his paintings, now that sorrow is less part of his life. The recent paintings are largely body-sized and incarnate shifting and contradictory emotions—the energy of these paintings comes out of the tension between these emotions. 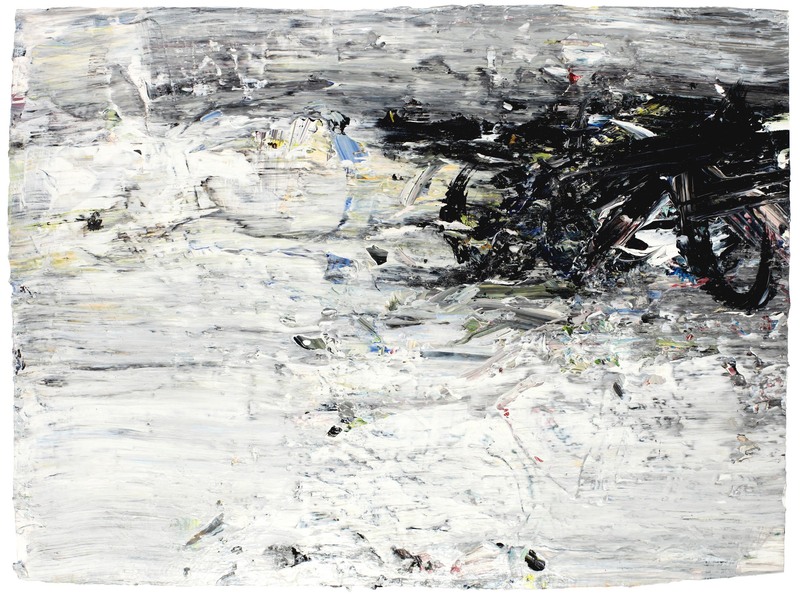 Su Dong Ping is keen to stress how important energy and speed are to the paintings, as they are both to Chinese calligraphy and to the action paintings of Western painters such as Franz Kline and Jackson Pollock. In one sense, he is heir to both traditions. Members of the first generation of Abstract Expressionists (such as Robert Motherwell) explicitly acknowledged their debt to Chinese calligraphy and its commitment to speed and energy. Clearly, Su Dong Ping’s work seems to belong to the tradition, but it equally renews the tradition of Chinese calligraphy—its use of the gestural brushstroke to carry emotion, its fidelity to energy and speed. There is a saying in the West that to keep things as they are, you have to change things. Su Dong Ping is an admirable example of this adage. Out of his divided life, he has made an art that helps to reconcile the divisions between ‘East’ and ‘West’ art, which remains true to the spirit, if not the appearance, of Chinese calligraphy. Most important, he produces emotionally charged paintings that are landscapes of the shifting contours of the heart, ever more important in a world where only material objects are seen as valuable.